Basketball season is over. Despite what nearly everybody was saying all the way until the day, Texas Tech played under the bright lights of the last Monday night game. Yes, they came up short against Virginia. Yes, there will always be controversy around that game. But we cannot allow our perspective on the entire season be influenced by a blip. Read on as we break down the non-conference, conference, and tournament performances here in the season review. After a surprising and satisfying battle to the first Elite Eight in school history, Texas Tech still began their season out of the top 25 (only receiving six votes in the AP poll). Aside from Jarrett Culver, there were a lot of questions by fans and media personnel regarding Texas Tech’s offensive abilities. The defense was respected, but not admired. It wasn’t until the tournament against USC and Nebraska, where the Red Raiders outscored both by a combined 30 points, that some started to take note. Culver’s 26 points against Nebraska coupled with holding the Huskers to 52 points showed that the Red Raiders could score and take away scoring at will. 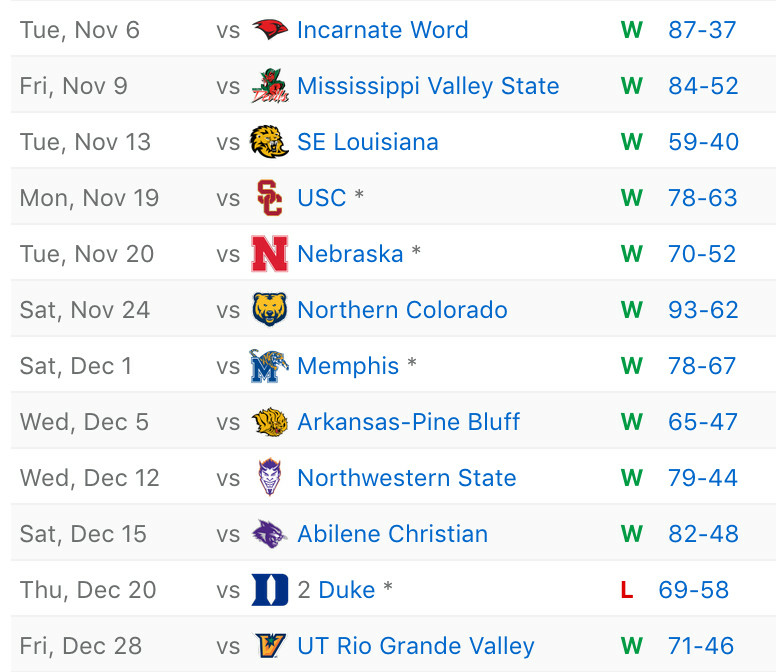 Texas Tech took care of business ten games in a row, slowly climbing themselves to a No. 12 ranking. Then the big ticket game came. Duke and Texas Tech in Madison Square Garden was one of the must-watch games of the pre-conference season. Zion Williamson, RJ Barrett, and Tre Jones were building stardom while Jarrett Culver and Texas Tech were trying to validate their 10-0 record. Coach Beard and Coach Adams held an astounding one-point lead at the half, 29-28 by out coaching Coach Krzyzewski’s Blue Devils. The momentum would switch in the second half when Williamson and others made it to the free throw line more often and made use of transition baskets. 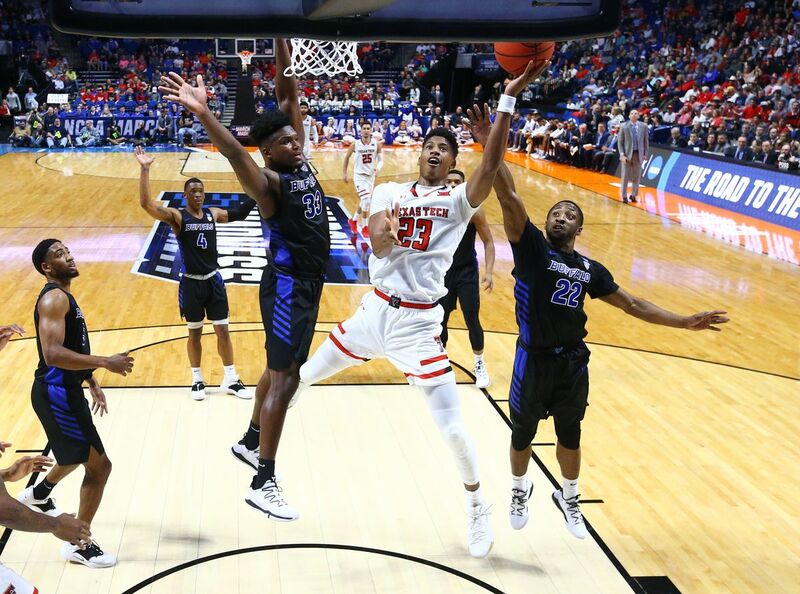 Despite the 69-58 loss and Duke’s stellar season following, Zion Williamson admitted in late March that “Texas Tech has the best defense of any team Duke has played.” A strong rebound game against UT Rio Grande Valley rounded our Texas Tech’s non-conference schedule at 11-1. The takeaway: Even with the loss to Duke, Texas Tech proved to a number of sports pundits and casual fans that the Red Raiders were a serious force. The defense held merit as it was climbing the KenPom table towards the top five. The final non-conference record might have seemed padded, and from some opponents it was, but as a whole Coach Beard was defeating teams that he was supposed to – and that trend would continue. Texas Tech was predicted to finish seventh in the Big 12 only ahead of Oklahoma, Baylor, and Oklahoma State. The underdog was born, and the Red Raider shot out of the gate with an impressive first victory over a highly-respected West Virginia team. 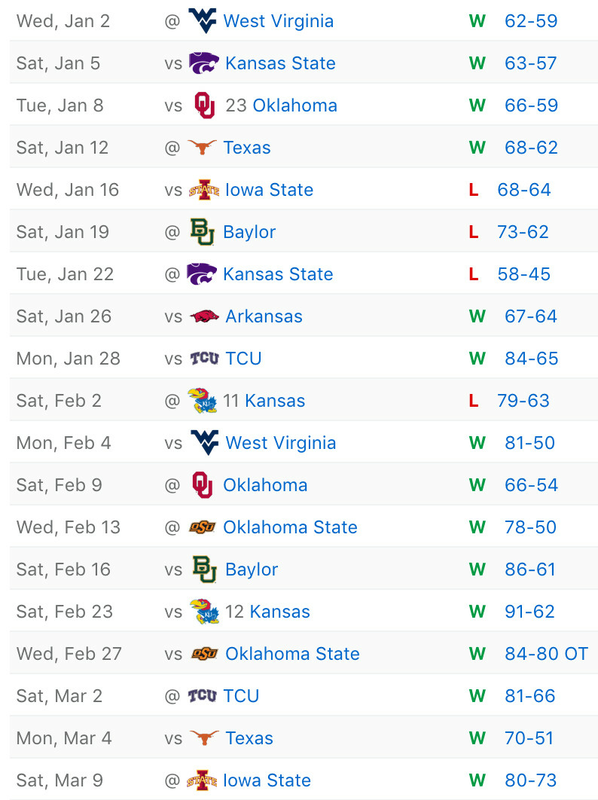 The slate continued with wins against Kansas State (without Dean Wade), Oklahoma, and Texas in Austin. The victory in Austin marked the first time Texas Tech had won in Austin since 1996, showcasing this team’s ability to shut down opposing offenses. As Iowa State was suffering a two-game slump, the Cyclones came in to Lubbock and handled the Red Raiders in their own building – the only home loss for Texas Tech for the season. The slump continued with Baylor raining down three-pointers over Tech in Waco, and then a revenge game for Kansas State in Manhattan. For a moment it became bleak for a once-hot Texas Tech team. Sitting at 4-3, Coach Beard and the staff were forced to rethink their strategy. Then the Big 12 – SEC tournament provided a spark as Arkansas was dismantled in front of a rowdy United Supermarkets Arena crowd to get back in the win column. They then took care of TCU by a scary margin before losing handily to Kansas in Lawrence. The loss would be their last in the conference as Texas Tech blazed an unprecedented nine-game winning streak. They claimed a share of the Big 12 conference title along with Kansas State with a final record of 14-4 (26-5 total). The takeaway: Texas Tech posted it’s strongest performances since it’s been in the Big 12, deservedly earning a share of the conference title. This achievement came strongly behind the work of the defense and an increasingly efficient offense. 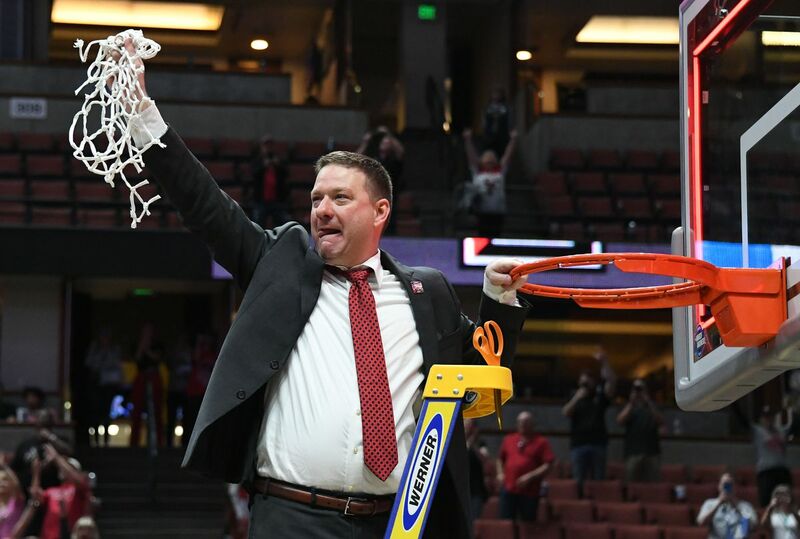 Coach Beard placed Texas Tech more firmly on the recruiting map as well, dethroning the multi-champion Kansas Jayhawks in a much more surprising fashion than Kansas State (who was ranked second in the Big 12 preseason poll, compared to Tech at seven). After the revelation of a regular-season title, people started to bank on Texas Tech to continue it’s impressive nine-game win streak and roll through the Big 12 Tournament. Not so. West Virginia, after being swept by Tech in the regular season, played as they were; without anything to lose. The Mountaineers didn’t impress in their FG percentage, but were able to rack up 7 three-pointers, 26 regular baskets and twenty (out of twenty-two) free throws to keep Texas Tech from advancing. The early exit from the Big 12 Tournament was an ill sign for many who started watching Texas Tech, and with the NCAA Tournament around the corner – they were contemplating how far Tech could really go. After Selection Sunday, third-seeded Texas Tech had been matched up against Northern Kentucky University for the round of 64. Northern Kentucky, the Norse, had a respectable performance in the Horizon conference. The disappointing bow out of the Big 12 Tournament had some pundits considering that the Norse would upset the Red Raiders. Coach Beard and the team had other plans. After a close first half, Texas Tech lit up the court shooting over 52% and closed out the game with a 72-57 victory. With the victory, Texas Tech advanced to face off against Buffalo – a team used to scoring near 90ppg. Again the national media questioned how effective this Texas Tech defense could be against such a prolific offense. Twice doubted, twice the surprise victory. Holding the Bulls to 36.5% from the field and slowing their pace created a difficult environment where Tech could flourish. The Red Raiders would advance to the Sweet Sixteen for two years in a row following the 78-58 victory. 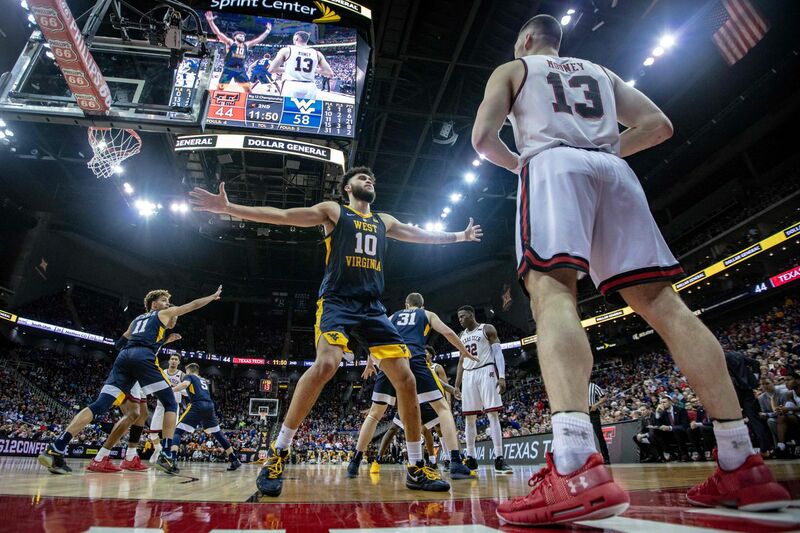 In the Sweet Sixteen, the Red Raiders were matched up against a Michigan team that had been sitting in the top ten all season long. The Wolverines also made a name for themselves through dominating defensive performances in the Big 10. This game quickly became a “whoever the better defensive team is wins,” and the first half certainly didn’t disappoint. Coach Adams’ defensive strategy kept Michigan to their record lowest first-half performance in the tournament. The second half maintained the defensive clinic but saw an outburst of offensive performance by Tech and they sprinted away to win 63-44. Two years, two Elite Eight appearances. The highly touted Gonzaga Bulldogs were the undisputed one seed of the region, only having lost three games prior. With the number one offense in the nation, the match up resulted in an obvious “No. 1 offense vs. No. 1 defense” title. Rightfully so, but instead of adhering to the saying that defenses win championships the experts didn’t believe in Tech’s defensive stats. Another doubt, another surprise win. The Bulldogs thrived in the transition offense, but it became their weakest point of the game. The Red Raiders took away their quick to-the-basket scoring and forced them to make threes. Gonzaga only managed 7 out of their 26 attempts and Texas Tech used those opportunities to score on the opposite end. There were late game antics where Zach Norvell Jr. put Gonzaga within two, but Josh Perkins picked up a technical after slapping the ball out of Mooney’s hands during the throw-in. Texas Tech survived and advanced to the Final Four for the first time in its history, 75-69. Coming off of their best win in memory, Texas Tech was pitted against another team that was coming off of an extreme high. Michigan State just advanced to the Final Four after knocking off Duke in exciting fashion. Michigan State, a two-seed, was understandably favored in the game. Behind their star Cassius Winston, the Spartans boasted an offense that could operate at an efficient level while also containing on defense. The game was a game of runs, and Texas Tech made it’s last run at the end when it mattered. The Red Raiders held the Spartans to an astounding 31% from the field and advances to the Championship game, 61-51. 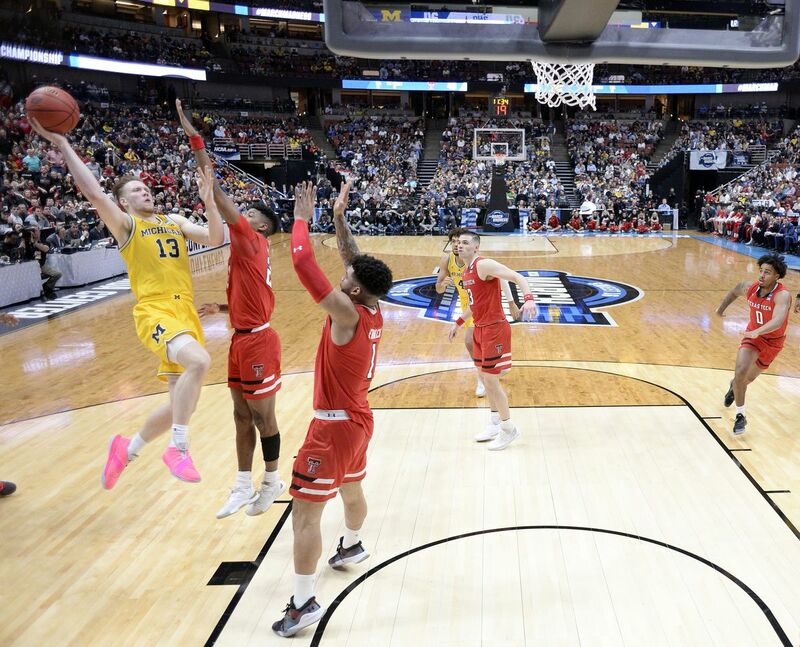 In one of the most treasured story lines of the 2019 NCAA Tournament, Virginia had been doing their best to redeem themselves for losing in the first round of the previous year to UMBC. After a long and somewhat controversial path to the final, Virginia ended up the close favorite against a hot Texas Tech team. In a number of ways, Virginia’s KenPom ranking, national focus, and star lineup had supported the Vegas Line. Texas Tech, the underdog again, came out swinging upwards against a giant. To keep it brief, Virginia was shooting well and Texas Tech wasn’t. Despite the multi double-digit leads by Virginia, however, Texas Tech roared back again and again until the end of the game where it held the lead in the last minute. A tying basket and a missed three-pointer by Culver sent it to overtime and controversial topics arose. Regardless of where you stood on the refereeing matter, Texas Tech was unable to close the gap as Virginia slipped away, losing 85-77. 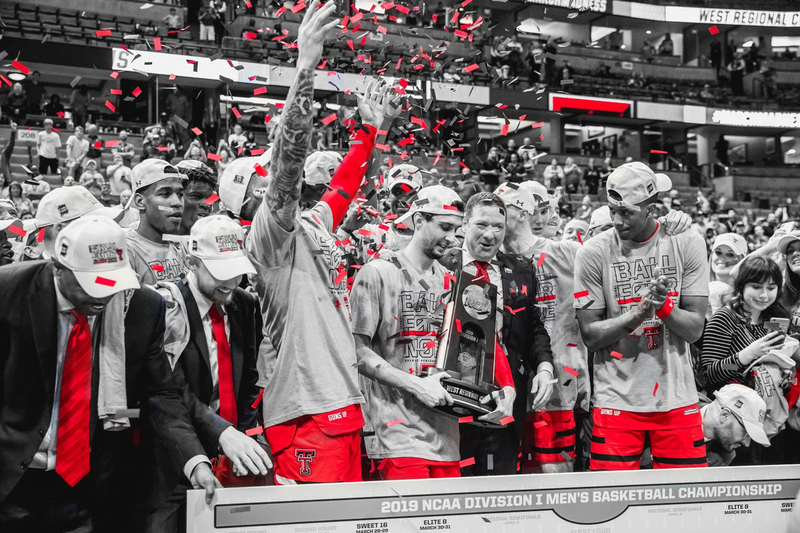 The takeaway: Even though Virginia held the national attention for having the redemptive story, Texas Tech won the hearts of many professional athletes, sports experts, and other celebrities for their true-to-self grind. Not to mention Coach Beard’s sensational personality and class. 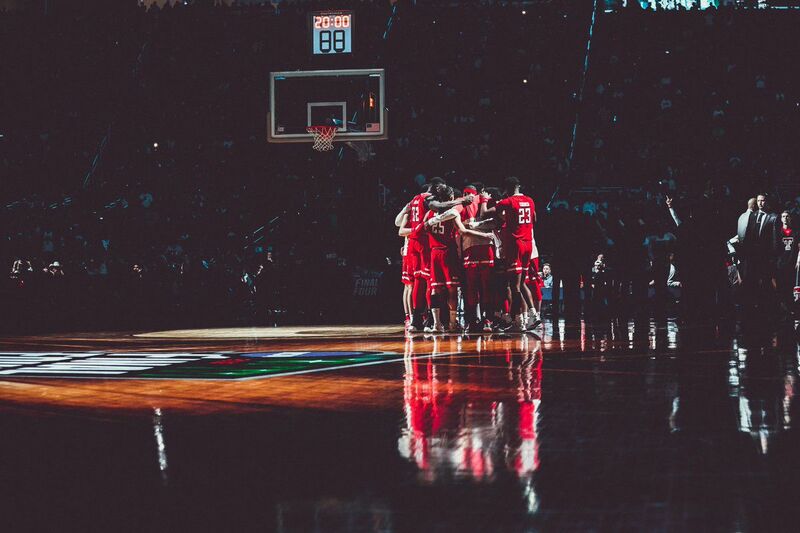 Even though a number of seniors and a lottery pick are leaving the squad, Texas Tech earned a lot of respect on the national stage and won’t soon be surprising anybody when they make a deep tournament run again.